The Gateless Gate and Polishing the Moon Sword is a collection of poems inspired by Zen and Japanese folk traditions. The first section, The Gateless Gate, contains poem-responses to the 48 Zen koans of the Mumonkan, following a long Zen tradition of composing poems as a spontaneous, personal response to koans. "Dane Cervine is a canny, thoughtful student of Zen. These Zen koans are paradoxical conundrums employed to free the mind of preconceptions and mental habits that inhibit enlightenment. Cervine pairs each koan with a poem that riffs upon the original, bringing it to life in the here and now. Like the short, enigmatic puzzles he contemplates, Cervine’s poems are witty, provocative, and mesmerizing. 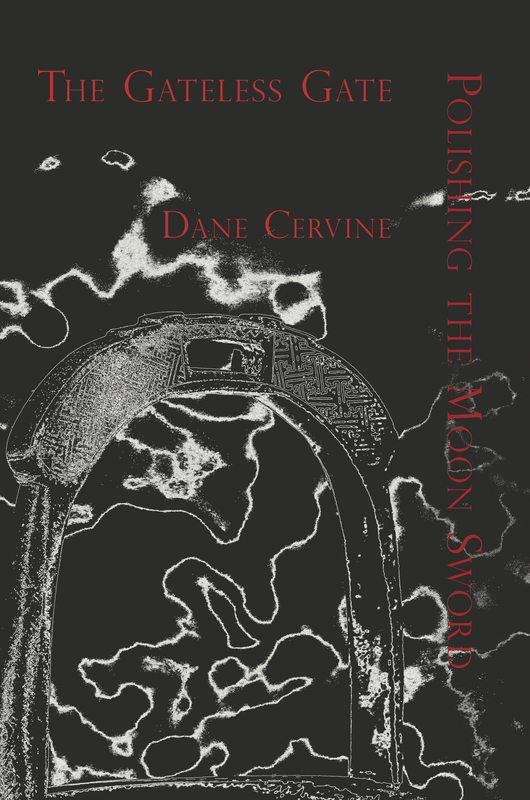 In Polishing the Moon Sword, this collection’s compelling second movement, Cervine offers us prose poems based on Japanese and Chinese folk tales. Every culture in every age produces a literature of moral instruction, fables, parables, aphorisms, and proverbs—tales that instruct, warn, and transmit the spirit of a people. Cervine serves up stories about demons, lovers, poets, soldiers and musicians, all rendered in a plain, demotic American English that perfectly captures the poetic and emotional essence of the originals. Like a key, Cervine’s poems open these tales to reveal their richness, humor and grace. This is a glorious, fulsome, volume sure to satisfy poetry lovers, students of Zen, and anyone who finds pleasure in a good story well told."